When their heroes were defeated on the Day of Badr and the remnants of the army returned to Makkah, it was a terrible blow for the Quraysh. Men who had lost their fathers, sons and brothers approached Abu Sufyan and others who had valuable merchandise in that caravan. They wanted the profits to be used for fighting the Muslims again. The merchants agreed to their request. The Quraysh decided to conduct a new war. Poets spurred the people on with their militant verses and provoked fanatical zeal in readiness for battle.
. The leaders accompanied by their wives advanced until they set up camp at the gates of Madinah. The Quraysh had mustered three thousand soldiers. He commanded them to hold their position and not to leave it, even if they saw birds snatching the army away. He put on two coats of armour and gave the banner to Mus’ab ibn Umayr (may Allah be pleased with him). On the day Of Uhud the Messenger(sallallahu alaiyhi wassallam) of Allah sent back a group of boys because they were too young. They included Samurah ibn Jundub and Rafi’ ibn Khadij who were only fifteen years old. The father of Rafi’ interceded, saying to the Messenger(sallallahu alaiyhi wassallam) of Allah that his son Rafi’ was a good shot, so the Prophet allowed the boy to go. They wrestled and Samurah threw Rafi’ so he was given permission as well. Consequently he was able to fight in the Battle of Uhud. The two sides faced each other and closed in. Hind bint Utbah stood among the women beating on drums behind the men to urge them on. A fierce battle was soon in progress. Abu Dujanah fought with the sword of the Messenger(sallallahu alaiyhi wassallam) of Allah. He fought until he was deep in the enemy’s ranks and killed all those in his path. Hamzah ibn Abdul-Muttalib fought fiercely, killing many Qurayshi heroes. No one could stand against him until Wahshi, the slave of Jubayr ibn Mut’im, waited for him in ambush. He was expert at throwing the javelin and seldom missed his mark. Jubayr had promised him that he would set him free if he killed Hamzah. He had killed his uncle Tu’aymah in the Battle of Badr. Hind, the wife of Abu Sufyan who was thirsting for revenge, also encouraged him to kill Hamzah. Wahshi attacked Hamzah with his spear, striking him so hard that it pierced the lower part of his body. Hamzah fell, a martyr. Mus’ab ibn Umayr fought in front of the Messenger(sallallahu alaiyhi wassallam) of Allah until he was killed. Allah Almighty sent down His help for the Muslims. He confirmed His promise until the idol-worshipers were cut off from their camp and were clearly defeated. The women turned in flight. Their commander reminded them of the Messenger(sallallahu alaiyhi wassallam) of Allah’s order not to leave their post, but they did not listen. They assumed that the idol-worshipers would not come back and so they left the Muslim army unprotected. Then, the cavalry of idol-worshipers suddenly attacked from the rear. A shout went up, ‘Muhammad has been killed!’ Though the Muslims turned back straightaway, the idol-worshippers seized the opportunity to counter-attack. In the confusion, many of the Muslims did not know where the Messenger(sallallahu alaiyhi wassallam) of Allah was. Ali ibn Abi Talib took his hand and Talhah ibn Ubaydullah helped him to his feet. Malik ibn Sinan, very upset, licked away the blood from his face. The Muslims, though not put to flight, were out-manoeuvred and forced to resume the fight. The Muslims suffered greatly from this reversal. The archers’ behaviour led to the martyrdom of many strong and dedicated Companions. When the eye of Qatadah ibn an-Nu’man was injured it fell out of its socket on to his cheek. The Messenger(sallallahu alaiyhi wassallam) of Allah put it back in and it was subsequently his best and sharpest eye. The frenzied idol-worshippers had surged towards the Messenger(sallallahu alaiyhi wassallam) of Allah, trying to achieve something Allah had not willed. Ten Companions who were protecting him were killed. Talhah ibn Ubaydullah shielded the Messenger(sallallahu alaiyhi wassallam) of Allah from arrows with his bare hand. His fingers bled profusely and his hand became paralysed. When the Messenger(sallallahu alaiyhi wassallam) of Allah wanted to climb a rock he was unable to do so because of his wounds and weakness. Talhah squatted down so that he could use him as a step. The time for the noon-prayer came and he led them in the prayer sitting down because of his wounds. ‘The Messenger(sallallahu alaiyhi wassallam) of Allah has been killed,’ they said. ‘Then what use is life after him Get up and die as the Messenger(sallallahu alaiyhi wassallam) of Allah died. Then he went forward and fought the enemy until he was killed. Anas (may Allah be pleased with him) said, ‘We found seventy wounds on him that day. Only his sister could recognise him, and she recognised him by his fingertips. Ziyad ibn as-Sakan fought alongside five of the Ansar in front of the Messenger(sallallahu alaiyhi wassallam) of Allah; they were killed one by one. Ziyad fought until he was badly wounded. The Messenger(sallallahu alaiyhi wassallam) of Allah said, ‘Bring him to me.’ He used his foot as a support for Ziyad’s head. Ziyad died with his cheek on the Messenger(sallallahu alaiyhi wassallam) of Allah’s foot. Amr ibn al-Jamuh was very lame and had four young sons who used to go on expeditions with the Messenger(sallallahu alaiyhi wassallam) of Allah. When they went to Uhud, he wanted to accompany the Prophet. 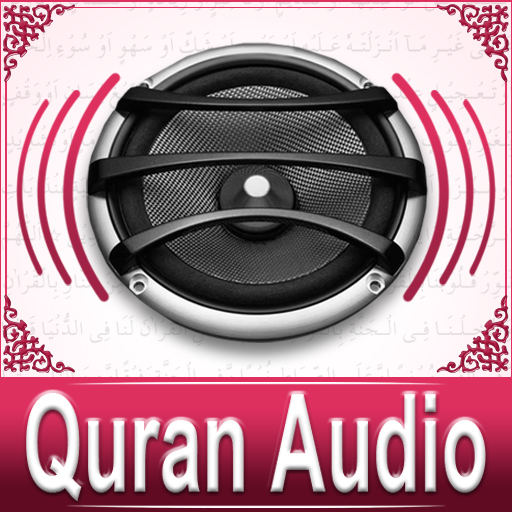 His sons said to him, ‘Allah has given you a dispensation. You stay and we will fight in your place for Allah has removed the obligation of jihad from you. ‘These sons of mine prevent me from doing jihad with you. By Allah, I hope that I will be martyred and then I will walk in the Garden of Paradise with this lameness of mine. The Prophet replied, ‘Allah has removed the duty of jihad from you. He asked his sons, What harm is there in letting him go!’ Amr went with the army and was indeed blessed with martyrdom at Uhud. When the Muslims realised that the Messenger(sallallahu alaiyhi wassallam) of Allah was still alive, they rushed up to one another and advanced towards the gorge. Ubayy ibn Khalaf caught up with him, saying, ‘O Muhammad ! I will not be spared if you are spared!’ The Messenger(sallallahu alaiyhi wassallam) of Allah, however, said to his Companions, ‘Leave him alone.’ When he came closer, the Messenger(sallallahu alaiyhi wassallam) of Allah took a spear from one of his Companions, faced Ubayy and struck him in the neck causing him to sway and fall from his horse. Ali ibn Abi Talib filled his shield with water and Fatimah, the daughter of the Prophet, washed the blood from his face. When Fatimah saw that the water only increased the blood flow, she burnt a piece of matting and dressed the wound with the ashes until the bleeding stopped . A’ishah bint Abi Bakr and Umm Sulaym carried water in leather bags on their backs. They poured it into the mouths of the wounded. Repeatedly they went back for more water which Umm Sulayt drew for them. Hind bint Utbah and the Quraysh women with her began to mutilate the bodies of the slain Muslims and cut off their ears and noses. She cut out Hamzah’s liver and chewed it, but could not swallow it and spat it out. The Muslims searched for their dead and buried them. The Messenger(sallallahu alaiyhi wassallam) of Allah grieved for Hamzah who was his uncle as well as his foster brother and who had always supported him. She asked, ‘Why I have heard that my brother has been mutilated and that it was for the sake of Allah. I assume he will be rewarded. I shall be patient if Allah is willing. She then went to see her brother and prayed for him, saying, ‘To Allah we belong and to Him we return,’ and begged forgiveness for him. 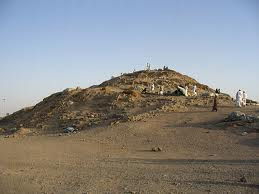 Then the Messenger(sallallahu alaiyhi wassallam) of Allah commanded that he be buried at Uhud. Mus’ab ibn Umayr, the Messenger(sallallahu alaiyhi wassallam) of Allah’s standard-bearer, was one of the wealthiest young men of the Quraysh before becoming a Muslim. Only a small piece of cloth could be found for his shroud. When his head was covered, his feet showed and when his feet were covered, his head was exposed. The Messenger(sallallahu alaiyhi wassallam) of Allah advised, ‘Cover his head and put idhkhir, herbs, on his feet. The one who was pointed out was put into the grave first. ‘I will be a witness for them on the Day of Resurrection,’ said the Messenger(sallallahu alaiyhi wassallam) of Allah. He ordered that they be buried still covered with blood, in the condition that they had fallen. They were not prayed for, neither were they washed. The Muslims Said, ‘He is well, Umm so-and-so!’ She praised Allah and requested them, ‘Point him out to me so that I can see him. When the Messenger(sallallahu alaiyhi wassallam) of Allah was pointed out to her she said to him, ‘Now that you are safe every misfortune is gone. The idol-worshippers criticised one another and their leaders, saying, ‘You did not do anything. You have merely scratched the surface. You left without wiping them out. Seventy Muslims were martyred in the Battle of Uhud, most of them Ansar (may Allah be pleased with them). Twenty-two idol-worshippers were killed. In 3 A.H., some of the ‘Adal and al-Qarah asked for Muslims to teach them the faith. The Messenger(sallallahu alaiyhi wassallam) of Allah sent six of his Companions including ‘Asim ibn Thabit, Khubayb ibn Adi and Zayd ibn al-Dathinah. However the tribesmen double-crossed them and killed four. ‘Go ahead,’ his captors replied. He will bless the limbs which are torn apart. ‘Air ibn Malik asked the Messenger(sallallahu alaiyhi wassallam) of Allah to send a group of his Companions to teach his tribe about Islam. Seventy of the best Muslims were sent. When they reached Bi’r Ma’unah they dismounted, but the tribes of the Banu Sulaym of ‘Usayyah, Ri’l and Dhakwan ambushed them by surrounding them with their camels. When they saw what was happening, the Muslims drew their swords and fought bravely, but they were all killed except Ka’b ibn Zayd. He survived until the battle of the Ditch where he, too, was martyred. With the Messenger(sallallahu alaiyhi wassallam) of Allah was a group of his Companions including Abu Bakr, Umar and Ali. Allah informed His Messenger(sallallahu alaiyhi wassallam) about the treacherous plan. He went straight back to Madinah and ordered the Muslims to prepare for war against the Banu’n-Nadir. Then he led them to the enemy fortress. It was in the month of Rabi’ al-Awwal in 4 A.H. The Messenger(sallallahu alaiyhi wassallam) of Allah laid siege to the Jews for six nights, casting terror into their hearts. They then asked the Messenger(sallallahu alaiyhi wassallam) of Allah if he would banish them from the city and spare their lives on condition that they take with them all their belongings on their camels, except their weapons. The offer was accepted and they left Madinah after destroying their houses, taking whatever their camels could carry. The Messenger(sallallahu alaiyhi wassallam) of Allah divided what property was left among the first Muhajirun. In 4 A.H. the Messenger(sallallahu alaiyhi wassallam) of Allah decided to make a raid into Najd, advancing with his Companions until he reached Nakhl. They had only one camel between six of them so their feet became raw from walking. They tore their clothes into strips to bandage their feet and toes. This expedition was called Ghazwah Dhat ar-Riqa, the expedition of Rags. Though the two sides approached each other, no fighting ensued as they were too wary of each other. The Messenger(sallallahu alaiyhi wassallam) of Allah led the Prayer of Fear on this occasion.